Founded in 2014. Is a group of inventors that enjoy working on smart wearables and connected home devices. They strive to engineer seamless system of hardware, software, and cloud services. 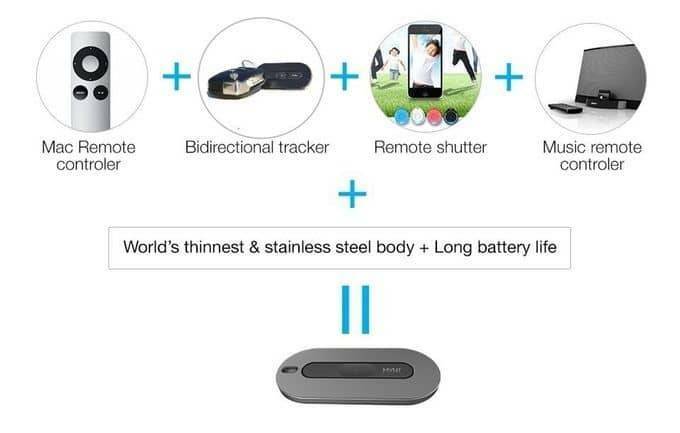 Their product range now consists of the MYNT Smart Tracker & Remote control device, their MYNT Robot for domestic and industrial use, MYNT EYE is a sophisticated new visual SLAM technology. SLIFE application is a new healthy lifestyle experience application for IOS and Android. Bluetooth tracking devices are fairly common nowadays. The Tile Bluetooth wireless tracker was the first or one of the first released, now manufacturers have have started producing their own versions for obvious commercial reasons. The Tile Tracker was we think the best option if you were interested in a good tracker device. MYNT started off by creating their crowdfunding Indiegogo campaign and raised an $100,793 USD. 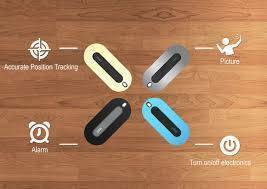 Their claim and aim was not to just produce a Bluetooth tracker, but a Bluetooth Tracking device supporting more and better functionality then provided by devices of existing manufacturers. So how well does MYNT stick up to promises made when starting their crowdfunding? 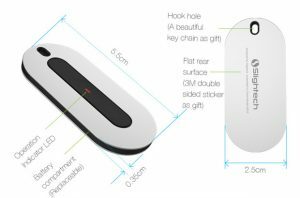 Well this review will disclose the good and bad of the MYNT Tracker device in daily use. MYNT uses Bluetooth Low Energy (BLE) technology to help you locate your items. While Bluetooth technology is a wireless technology, there are significant differences between Bluetooth, Wi-Fi, and GPS technology. 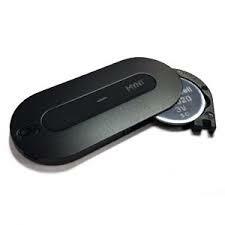 MYNT’s Bluetooth range is up to 150 ft. Bluetooth is most effective at the 30 ft. range, depending on the environment. If your MYNT is out of Bluetooth range, you can use Last Position Recorded to see where it was last seen on the map, or you can mark the MYNT as lost. The Community will be allowed to discover the lost MYNT. When anyone running the app comes within Bluetooth range, you will receive an alert notifying the location of your MYNT. As promised with their crowdfunding campaign SlighTech Inc. set themselves a reputation for creating ‘new’ and ‘next generation’ devices. So it had to look and feel good, and needed to be strong for everyday use. Well its small , rock solid Stainless Steel and fits all. About 30 percent smaller than the Tile Tracker which is more then convient. It’s even thinner, too, at 3.5mm. To give it all the credits it needs, its an Apple like design, solid thin and eye catching. Top marks for design. 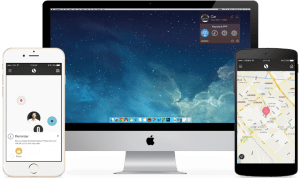 In order to use the MYNT Tracker you need an iPhone or Android phone as your portable software device and your Mac or PC for a stand alone home situation. The needed software is downloadable from the known IOS/Android stores. 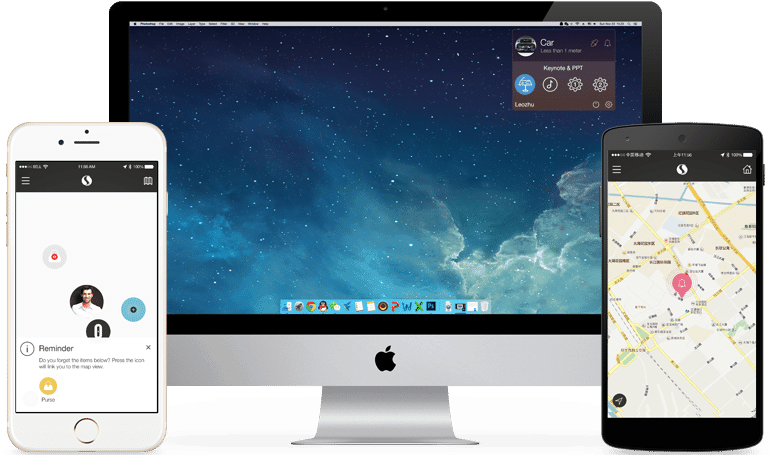 It is good to know that One MYNT app can manage eight MYNT devices at the same time ! This is important if you want to manage more then just one MYNT, which you may want once you get used to its abilities. You can probably think of lots of other means, these are just examples. Now activate the application on your smartphone, and connect your MYNT. Now your smartphone will act as a beacon that helps you find your item. Activate the app, and your MYNT will produce a loud sound to help you audibly locate your keys or item. It will do this as long as the item is in a 150ft range of the smartphone!! If you’re not within this range, the sound location function won’t work. But the smartphone application will still try to find your device as the app is always running in the background. At any moment. when the item is in range MYNT will sound. The Mynt application stores the last known GPS coordinates in its memory. Now you may track down your whereabouts yourself and you may remember leaving it in a specific place. The MYNT is a Bluetooth tracker with lots of possibilities. All features are managed with a small button on the top surface of the tracker. 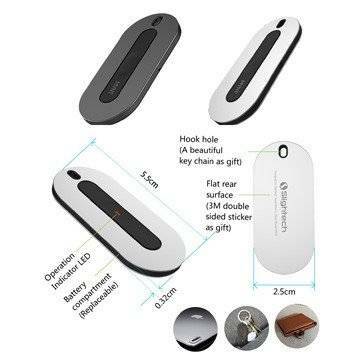 Like any Bluetooth device, this button may be paired to work with any other Bluetooth device. By pressing the button, the smartphones trackers capabilities can actually work in reverse. The MYNT application installed on your smartphone will be activated, causing it to make the same chirping noises as the tracker itself, if your phone is within a 150-foot range. The MYNT’s button is programmable to do anything. Some programmable options are PowerPoint presentation support, and anything else working with the Bluetooth principle. Battery life is an important factor for any device working on batteries. Too short battery life means that your tracker is not responding anymore and therefore useless, thus separate battery spares need to be available when needed. a possible use period of 1 year depending on use. pure consumption society, throwing away stuff is unwanted. This great approach made by the developer shows they not only look at profit but also think about environment and design products to last as long as possible. The competition like Tile have a battery built in. Once the battery dies, you’ll have to buy a new tracker. The MYNT with its replaceable battery is a much smarter approach to business. Once you have reported that one of the MYNT is lost, the information will be distributed to the MYNT cloud service. This information will then be passed safely to all connected devices that have joined the community. When another device in the community has detected the signal of the MYNT, this information will be reported back to the cloud service and in turn to you. This feature depends on how many people use this Tracker. The theory is great and provides far better area covering if ..if the tracker was widely used….this however is not something we can arrange. Still I do see here some opportunities for local councils to provide trackers to their citizens. If you haven’t got a Tracker yet, I think it has more then enough features to make every day life a little safer or easier. The design is beautifull and the rock solid Stainless Steel body will make it last for a long time. Its NOT just a gadget ! Its a handy tool for everybody. Stop looking for your keys, stop losing stuff. Know where your child is, know where your dog chases rabbits. Well you’ll be out of range then but still its a valuable product in many cases. The empty battery problem is tackled with a perfect solution. Just change batteries and you’re on the go for another year. The software is user friendly and offers no exceptional settings, it would be nice if one could switch off the message and alarm’ did you forget about…”, which is disturbing at times. With a growing number of users the tracker will even gain more usefulness. Once you get used to using the Mint Tracker you’ll find just one item is not enough for your daily routines. Insurance companies should provide Free trackers in order to save on costs. Well order yours, and experience the extra safety for daily routines. It’s IP rated, so you know that it’s a durable device that can last you for many years.